The Fisheye 10-17 is the lens I enjoy the most with my KP. Perfect for taking in the wide open spaces. 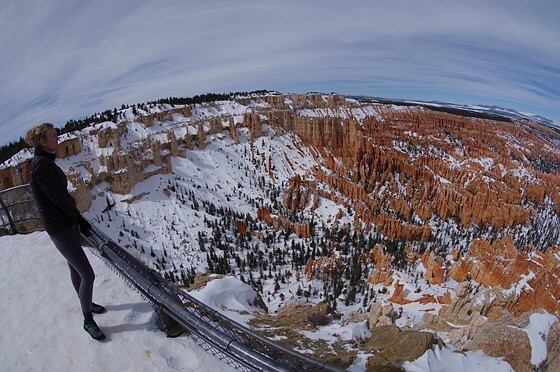 It was quite snowy at Bryce last week. All hiking trails closed. But we still enjoyed walking around the rim although it was a bit hard with all the slipping and sliding.